CHICAGO (WLS) -- Hales Franciscan, a Chicago Catholic high school with just 36 students, has made it to the state basketball semifinals. The Hyde Park school will play against Rockridge High School, from Taylor Ridge in Rock Island County in western Illinois, Friday at 8:15 p.m. in the state's Class 2A Final Four of high school basketball in Peoria. Hales Franciscan played No. 1 ranked Orr Academy and won 62-58 in the Super Sectionals to make the semifinals, a school news release said. Hales represents the smallest school to ever play for the state championship, the release said. The basketball team consists of 13 players, more than a third of its student body. Hales faced closure last year. The school was saved due to fundraising efforts, and recruiting efforts have landed a freshman class for next year of more than 40 students. "Considering the challenges that the school has had this year, I am really proud of the way they have handled themselves (and) overcome those challenges. These students truly serve as a role model for current and future students. This allows them to show others what being a Spartan is all about," said Coach Gary London in a statement. 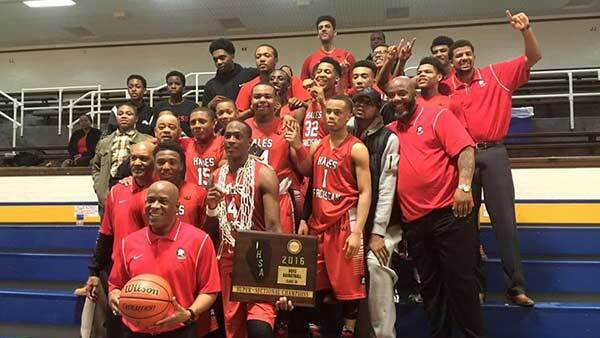 Hales previously won the state championship in 2011 and 2003, the Illinois High School Basketball Association says. They go into this Final Four with a record of 20-12, according to IHSA records. "This year us going down twice and losing to a Super Sectional, they kind of ruled us out thinking that we would be an upset. It kind of motivated us knowing everybody looked over us and didn't have us as a favorite. It kind of motivated me and all of my teammates who are like my brothers," said Nicholas McKenzie, senior at Hales Franciscan.